Modern day Halloween has brought some new traditions to the table as well as variations on old ones. Visiting haunted houses is a more modern tradition that most likely started as a commercial venture and often works as a way to raise money for non-profit organizations. While dressing in costumes for this day dates back thousands of years, today we see an insurgence of costumes inspired by popular culture, such as movie stars or politicians. Americans tend to see more humorous costumes than scary ones in the current times. Additionally, the tradition of trick-or-treating, which infers that if someone is not satisfied with the treat you are likely to get a trick, has evolved into an activity for younger children accompanied by parents. The parents remember in the 1970s the rumors that poisoned Halloween candy was handed out. Today older children and adults are more likely to attend a costume party instead, where best costume prizes are awarded. Most parties are held in homes but bars and nightclubs also hold similar events. This Halloween day, be the best one to sport the most scariest make up. Halloween, is all about Halloween costumes and the make up that makes the night spooky and haunted.So whatever your favourite Halloween movie character or scary ghost or ghoul, we have the perfect outfit for you to dress up in. 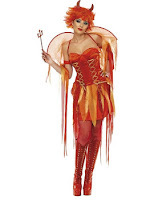 In fact, we’ve got thousands of costumes to buy and a huge range ideas for Halloween and Trick or Treat accessories to ensure your costume and fancy dress party look great. 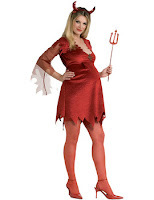 All our cool Halloween costumes are available for same day despatch at the best prices.